Evangeline and the sheriff’s office ask too many questions, and Evangeline soon wears out her welcome. Voodoo curses aside, Ben’s job is at stake, and no one associated with the case is safe until the killer is found. 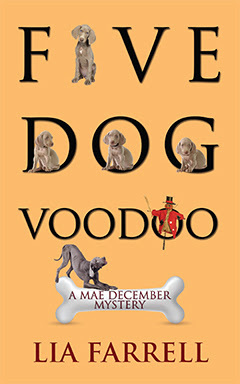 Book 5 in the Mae December Mystery series, which began with One Dog Too Many. 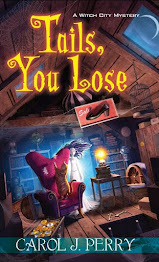 In this book Dory Clarkson and Evangeline Bon Temps go visiting a small voodoo village that Evagaline is interested in and learns of a young woman named Zoe who went missing and her family is desperate to find her. What happened to Zoe did she run off with a past boyfriend? To find her mother? Or was it something more sinister? 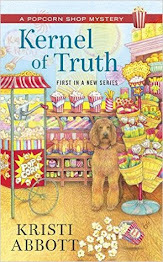 This book had everything small towns, adventure mystery and so much more. I haven't read the pervious books in this series but after this one I definitely will as the writer did a fabulous job writing about voodoo which you don't hear much about in such detail. Can't wait to see what is next!